The parking spot in Blairmore is just opposite where the 4.5 mile path to Sandalwood bay begins. It has a toilet block and a fresh water tap 'round the back, and its okay to stay overnight there. It was dry this morning, but the forecast was not looking good, so I decided not to make the walk to the beach, as I'd likely get caught in the bad weather later, and my boots were still wet through from the walk to the Old Man of Stoer. I had a quiet morning baking some bread for the next three days, topping up my water bottles, and cleaning out the van. I got everything neat and tidy again, all with the smell of freshly baked bread in the air. 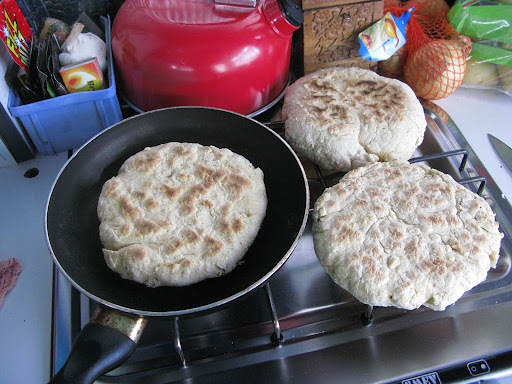 The bread should be fresh enough for three days; here are the three breads all ready.. I then set off for the north. It wasn't a long drive, but the scenery was pretty stunning as I got closer to the north coast. I passed through a huge expansive glen, with views far off into the distance, amazing to see even on this overcast day. 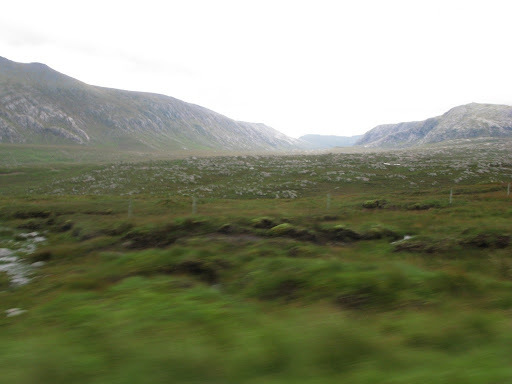 Pretty soon I was pulling into Durness. On the final stretch I saw the road off to my left to Keoldale, where the ferry boat takes you across to the road to Cape Wrath. 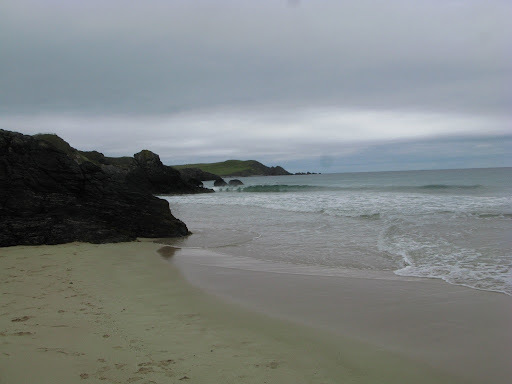 Arriving in Durness, the sun had come out again, and I was really happy to see the sea in front of me to the north, and was met by views over a beautiful beach. After a few phone calls to friends to tell them I'd arrived up here, I took a walk on the beach. 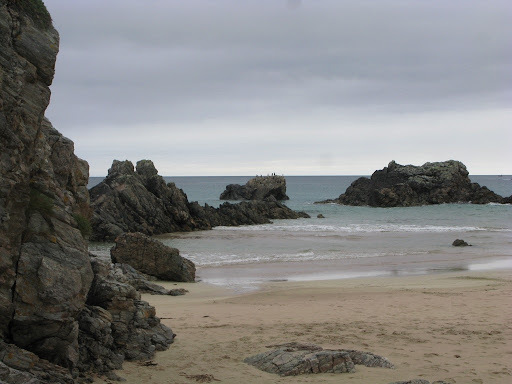 It reminded me a bit of Kinegoe bay in Donegal in Ireland. I decided to book into the campsite here so that I could get some laundry done, and for the rest of the afternoon I took a bike ride around the area. I ended up getting completely soaked again, but did enjoy an amazing hot chocolate in the chocolatier nearby. It had a lot of melted milk and white chocolate and I could only take half of it as the sugar rush was so intense – all the same good on a damp day..